On the first weekend of January after a busy few months of traveling it was time to embark on a journey of relaxation and rejuvenation. To find new energy and to escape the daily routine I was invited on a spa escape to Galini Wellness Spa & Resort in Kamena Vourla, Greece. The resort is located on the coast of Kamena Vourla, an area which over the years has become a popular thermal spa destination in Greece. Located approximately 150 kilometers from Athens the spa resort enjoys an idyllic natural setting with mesmerizing sea views. 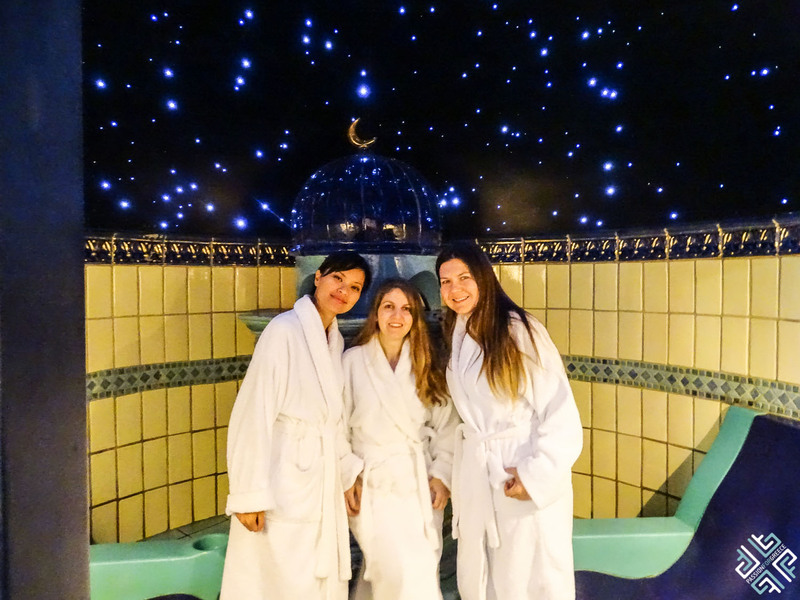 The first traces of thermal spa tourism in Kamena Vourla date back to the 1930’s when after the Second World War, famous people from around the world started coming here for the thermal springs. 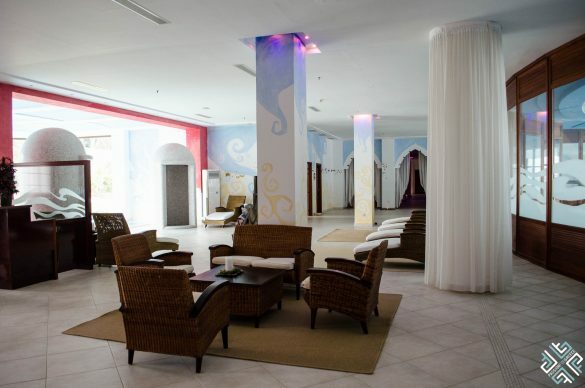 The thermal waters used at the Galini Wellness Spa & Resort are well known for their radioactive sources and their number one element being Radon which has a lot of positive effects on neuralgia, neuritis, the hepatic and glandular cells, on the lungs, allergic dermatologic disorders among many others. The natural temperature of the thermal water ranges from 33 degrees Celsius to 49 degree Celsius. The natural Radon is acquired from the rocks as the water flows down its natural route. The word Galini translates as tranquility, and this is what one will encounter as you step into this 3,000 square meter oasis of columns, hallways and pools. 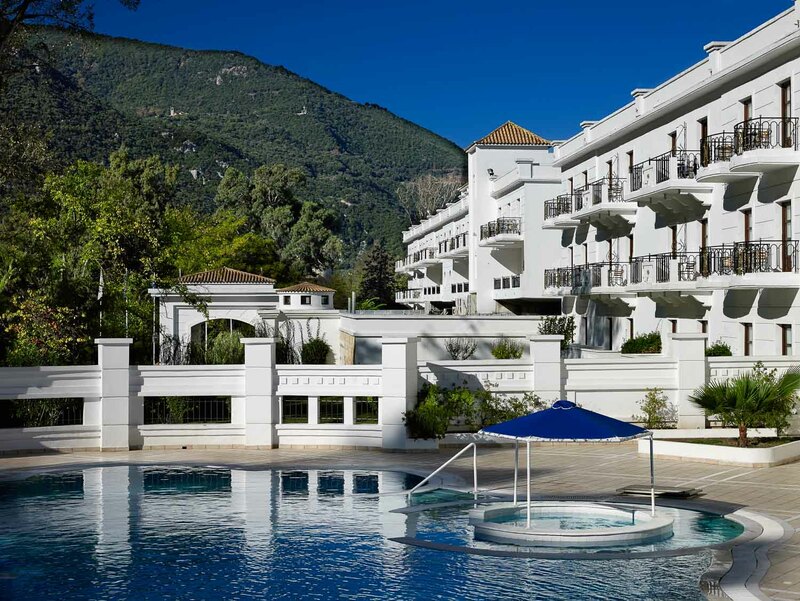 Here you can indulge in three pools — one outdoors set against a backdrop of the lush mountains and eucalyptus trees, an indoor sea water pool and a thermal water pool with a Jacuzzi. 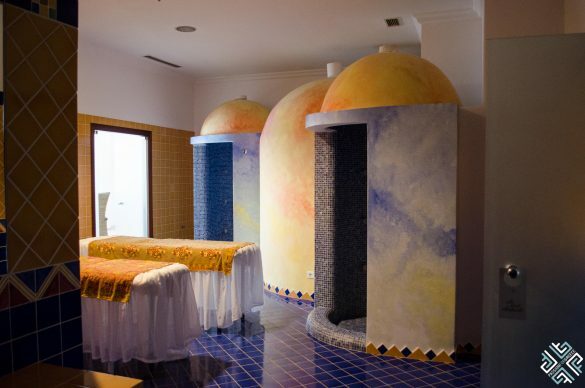 The spa also features a sauna, hammam, solarium, gym and a hairdresser salon. 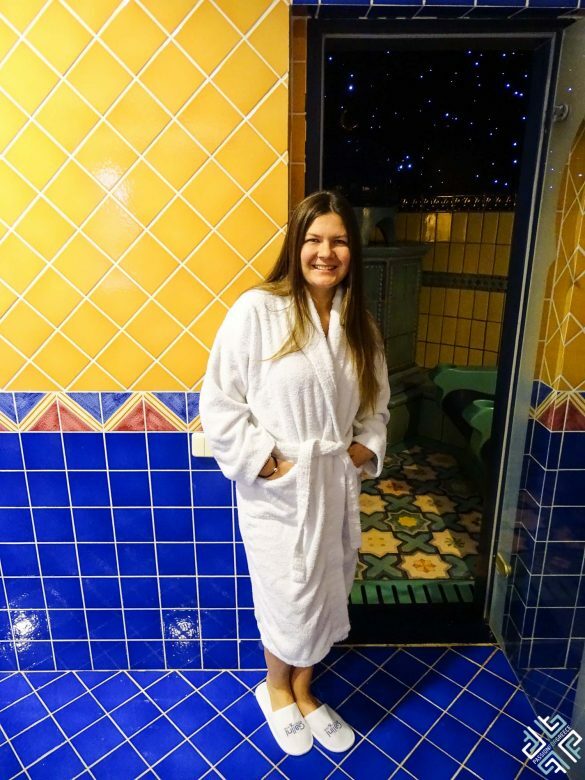 The wide selection of treatments incorporate thermal waters and mud, as well as ancient and modern, tried and tested techniques which are tailored to your individual well-being needs. 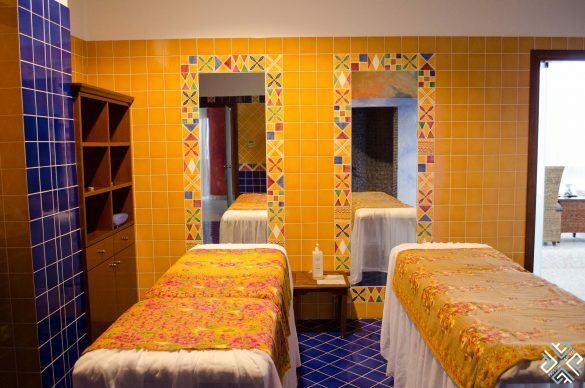 The spa center is located on the ground level of the hotel which is accessible by a separate elevator which connects with the guestroom floors. There is a separate entrance for external visitors who wish to use the hotel’s spa facilities. We arrived on Friday afternoon and after checking-in we headed to the Spa Center to arrange our treatments for the weekend. I was pleasantly surprised to find the smell of lemongrass in the spa area, which is so commonly used in hotels in Dubai and in Thailand which I am particularly very fond of. After completing a health check to make sure we did not suffer from high blood pressure or heart disease which in this case the use of the thermal waters is not recommended we went in for the indoor pool. 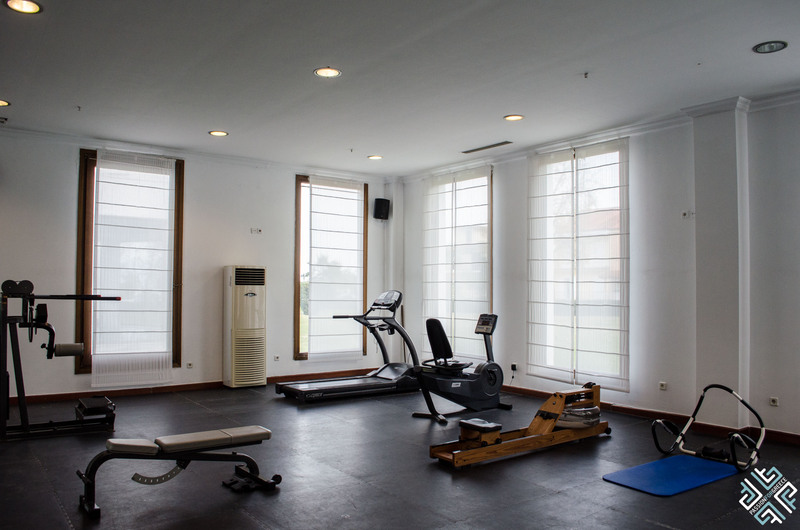 The recommended duration of the indoor pool use is usually 20 minutes and after having enjoyed the soothing effect of the thermal waters we proceed to our special Rasul treatment. The duration of the Rasul treatment lasts about 50 minutes. 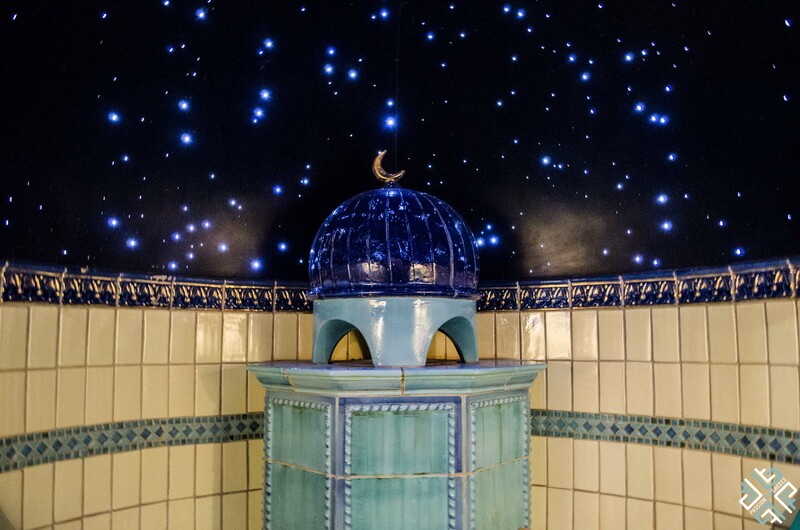 A traditional Arabian cleansing ritual which is enjoyed under a temple like ceiling decorated with the lights which resemble a thousand stars, leaves your skin exfoliated and refreshed. We were given a shell like plate with a body scrub, clay mud infused with therapeutic substances and a facial clay mask. 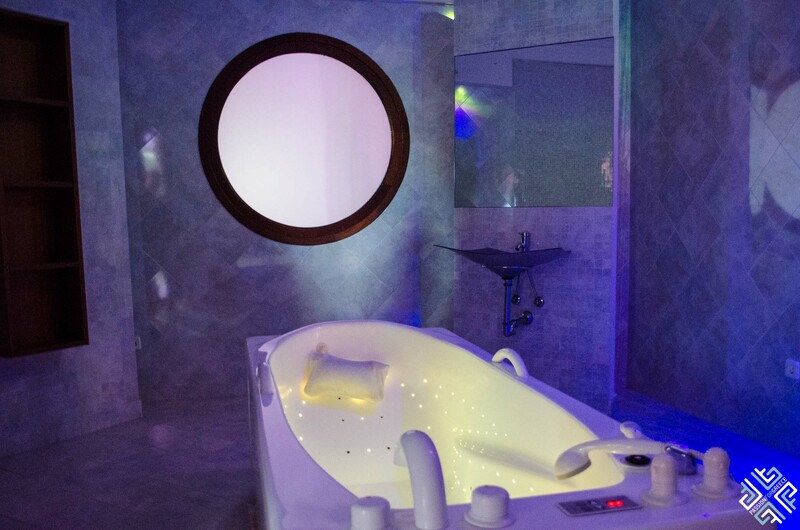 Inside the steam treatment room there are four heated armchairs where you sit and follow the exfoliating ritual. 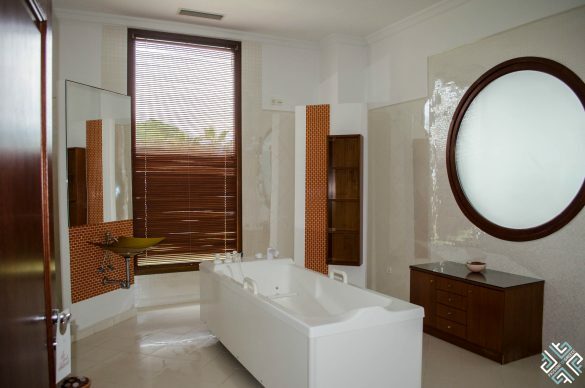 The light and water sound effects are used to stimulate the five senses. Towards the end of the ritual the sprinklers go off with warm water to remove all the excess scrub and clay mud from the body. The heavenly experience was topped off with a soothing body massage with essential oils which left my skin feeling soft like silk. The next morning we woke up to what looked like a true winter wonderland as the landscape was covered with snow which is quite a rare phenomenon in the coastal areas of Greece. We decided to take a dip in the outdoor pool under the falling snow, it was quite a magical experience. In the afternoon I decided to go for an Indian Head Massage which is a relaxing holistic treatment based on Ayurvedic medicine. The duration of the treatment is 40 minutes and it is completed with acupressure massage on the head, face, neck and shoulders. With the use of essential oils it aims to rebalance your body’s energies and tap into the seven chakras. This was my first experience getting an Indian Head Massage which I greatly enjoyed and recommend to anyone who is looking to detach and find serenity. After the treatment I felt that I traveled to another dimension as my mind cleared and my head and shoulders felt relaxed. 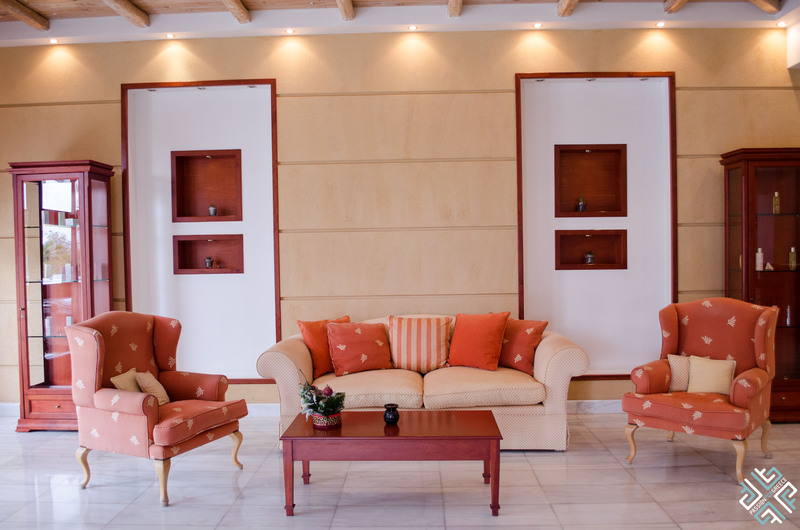 If you are looking to improve your physical and mental well-being then a weekend spa escape to Galini Wellness Spa & Resort in Kamena Vourla, Greece is a must. 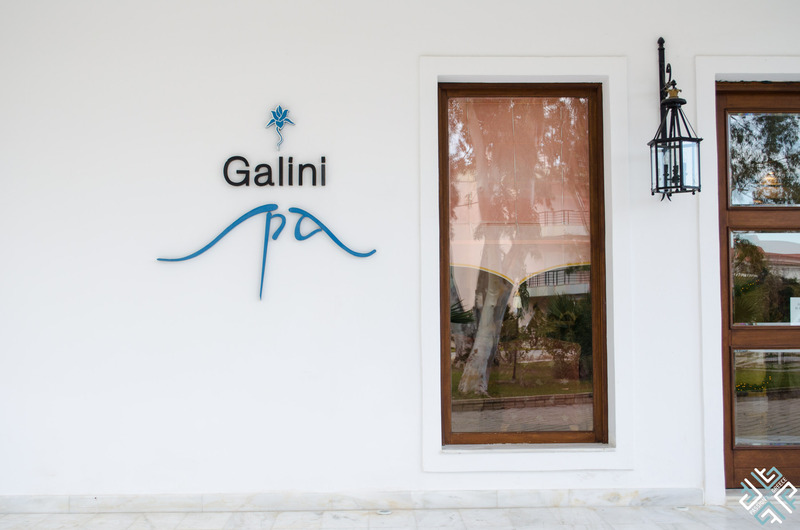 Slip into your bathrobe, put on your slippers and leave the rest to the professional and friendly staff of Galini Wellness Spa & Resort. 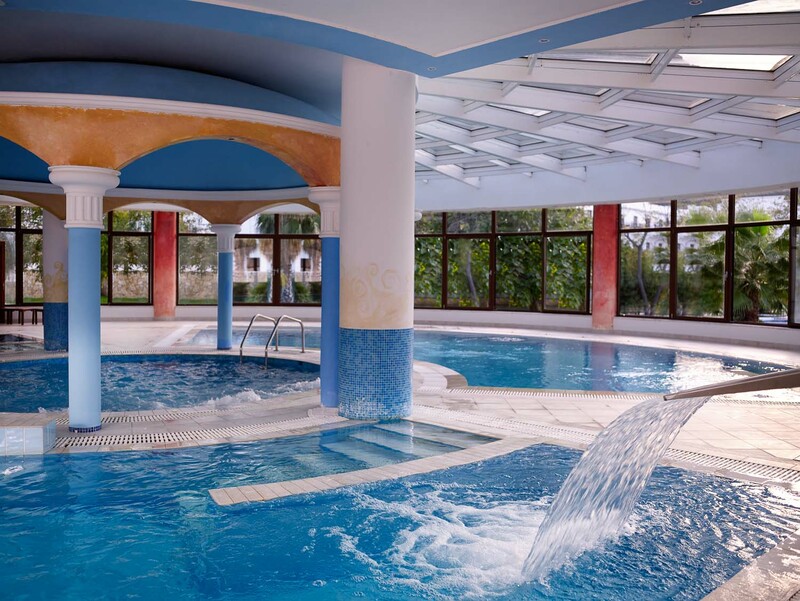 Have you been to any spa resorts in Greece? Will be happy to read your thoughts below. * Passion for Greece was a guest at the Galini Wellness Spa & Resort, all opinions expressed are my own.